Beautifully Updated Stepless Ranch Offering 4 Beds & 3.5 Baths Situated On A Half Acre Lot In The Swim/Tennis Community Of Westport! One Owner & Meticulously Maintained Home! Gorgeous Fenced Backyard W/Flagstone Patio & Perennials Galore! Stunning Double Door Entry W/Sparkling Beveled Glass! Interior Offers 2-Story Entrance Foyer, Hardwood Flrs, Crown Molding, Upstairs Loft, Dining Rm, Formal Living & Fireside Family Rm! 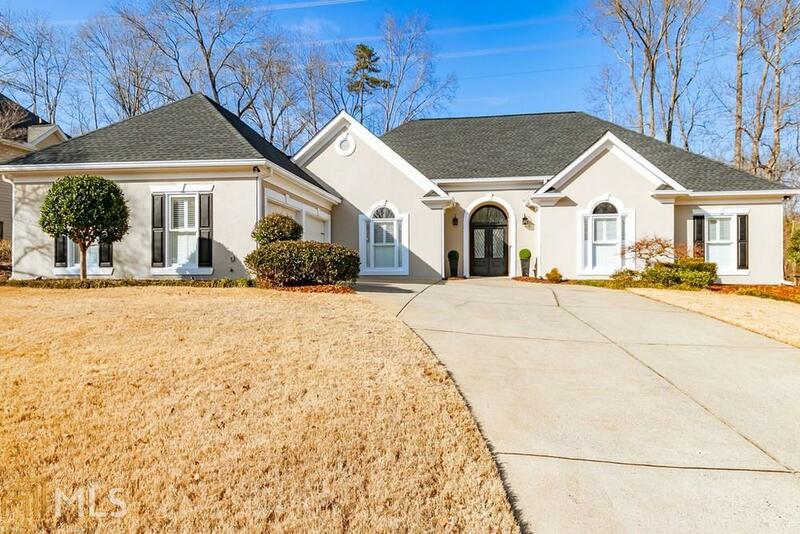 Master Features Trey Ceiling & Brick Accent Wall Along W/Updated Master Bath Boasting His & Her Vanities, Clawfoot Tub, Separate Shower & Tile Flrs! Directions: From Atlanta Take 75n To Exit 269 (Barrett Parkway), Left Off Exit, Cross Over Us-41, Take Right On Stilesboro Road, Left On Paul Samuel Road, Right Into Subdivision On Halisport Lake Drive, Right On Halisport Drive, House On Right!